Many of you may have heard me refer to my ‘American mum’ on my various social media platforms. Debi Pedersen is the real-life mum of Stacey, a very dear friend of mine, and somebody who I’ve grown close to in the 8 years I’ve known her. She and her husband Jim were kind enough to put us up when my partner and I embarked on a tour of California with Stacey, back in 2008. We had such a great time and vowed that we would keep in touch. In the years that followed, we’ve met up in London and they have stayed with us here in Cardiff when they visited to celebrate Stacey’s 30th birthday. They really are awesome people and have done so much to support my growth as a quilter that it was only natural I’d want to repay them in the best way I know how. Now, I’ve been known to use the Pedersen’s residence as my own personal post office. If I make a purchase or partake in a de-stash and the seller won’t ship internationally then Debi kindly let’s me have fabric and other notions sent to her for storage. I’ve lost count of the times that I’ve done this and I inevitably end up with a towering pile of purchases waiting to be collected. I always envisage that one day I’d return to CA and collect it all, but more often than not Debi surprises me and has it posted out. So thoughtful! On one of these occasions she included in the package some blueberry-themed fabric she had picked up for herself at a local store, asking if I might be able to make something for her with it. Shamefully, that was about 2 years ago. Life got in the way and the fabric fell ever-deeper into the stash. It took a house move and a load of unpacking for it to resurface and prompt me to get a move on. The heart of Debi’s house is her kitchen. Both her and Jim and amazing cooks and she has such a passion for all things culinary. With that in mind, I decided that a table runner, rather than a quilt, would make for a more fitting gift. Refusing to keep her waiting any longer, I liased with Stacey to get some secret table measurements and set about making! The resulting runner makes me smile, not only because I know it’s going to a deserving person, but also beacuse I had such fun making it. As always, I indulged in the fabric pull. Using the blueberry fabrics that Debi had sent as my inspiration, I mixed them with some stash favourites, including some new L’s Modern Garden by Lecien, various Carolyn Friedlander prints and some coordinating Kona solids. The background is Essex linen in steel. I kept the construction simple, making a load of stitch and flip blocks before trimming them down to squares using my trusty Sizzix Big Shot. Then it was a case of arranging them into a long lightening bolt shape and sewing them all together. For the quilting, wavy organic lines compliment the angular piecing. I used Aurfil 50wt against an amazing First of Infinity print for the backing. It had been waiting patiently in the stash for its moment to shine and I think that it has found it! With a text print from the Architextures collection, the runner was done. In the weeks since completion, the runner has crossed the Atlantic and arrived safely in the States. I’m pleased to report that Debi and Jim love it and I’m so glad that I’ve finally been able to thank them both in some small way. I love that a small piece of me is in their home and their hearts and hope that they’ll continue to love and use it for genrations to come. 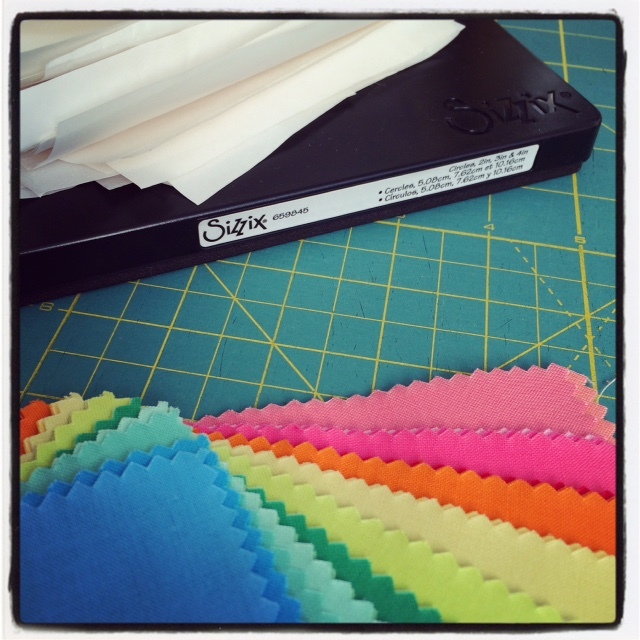 I’ve taken a break from quilting to let you all know about a great giveaway from Sizzix that I’ve just found out about. It couldn’t have come at a better time, as my shoulders are about to drop off! I’m still not entirely on board with the whole ‘take regular breaks’ thing! Anyway, by signing up to the Sizzix newsletter you have the change to win a Big Shot plus machine. This is the machine I have and I can’t say enough how great it is! It’s versatile and suited to so many quilting projects thanks to the array of dies available, everything from squares to hexagons. It makes your piecing quicker and more accurate every time. Sound good? Simply fill in your details here to be in with a chance of winning. The competition closes Friday 27th November at 10am GMT. Good luck! With my busy schedule showing no sign of letting up, it may come as no surprise to some of you that another plate has been added to the dozen or so that I’m already spinning. We’re buying our first house! I’m altogether excited, anxious and extremely stressed. As far as the process goes, it’s still early days, but I can’t wait to move in. If all goes to plan we’ll have a nice garden for the dog, a much bigger kitchen and a sewing room for me! The property has an attic, but it hasn’t been converted. So, I’ll be taking up residence in the smallest of three bedrooms, all of which have lots of lovely light, perfect for sewing! I’m so looking forward to planning the layout from scratch and taking on the challenge of finding a home for everything. As well as the ever-growing fabric stash, Some other things which will need to be housed are the new dies I received from Sizzix a few weeks back. I’ve been itching to play with them since they landed on the door mat! Added to the collection was the 1/2 inch hexagon die, 2″ finished square, 3″ finished square and the 3″ x 6″ finished rectangle. 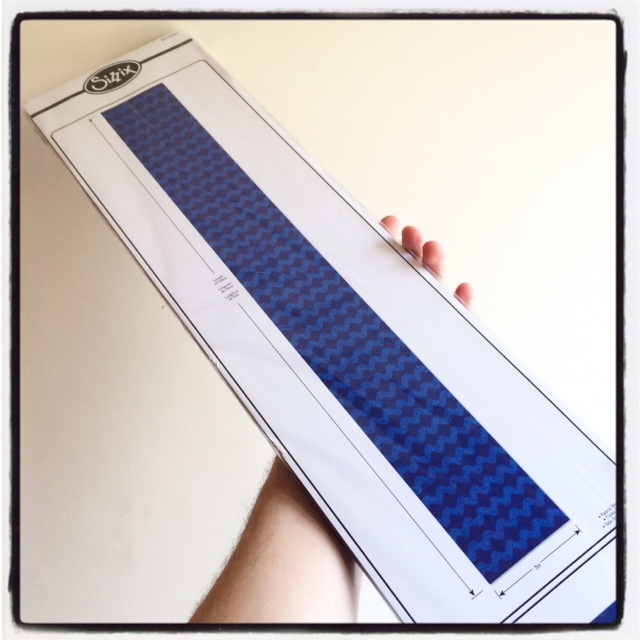 I also received some of the larger Bigz XL 25″ dies for cutting 3″ strips, which will make piecing some of the improv quilts I have planned a breeze. I’m still working on finishing up a few deadlines, and who knows when it’ll be time to pack up shop and move from the attic, so using these dies may have to wait a little longer. Thank you all for sticking with me. I know the posts here haven’t been as frequent as I’d like, but I can promise you all lots of exciting things are in the pipeline. I’ve got a new blog design waiting to be launched, lots of fabric news and some great projects just waiting to be sewn up! Once everything’s settled down we’ll have a big, celebratory giveaway! In the meantime, be sure to follow me on Instagram, where I post lots of snippets and sneak peeks. Welcome new visitors and old! How exciting that you’re all here to join me on my stop of the Oakshott Scandinavia Blog Hop! 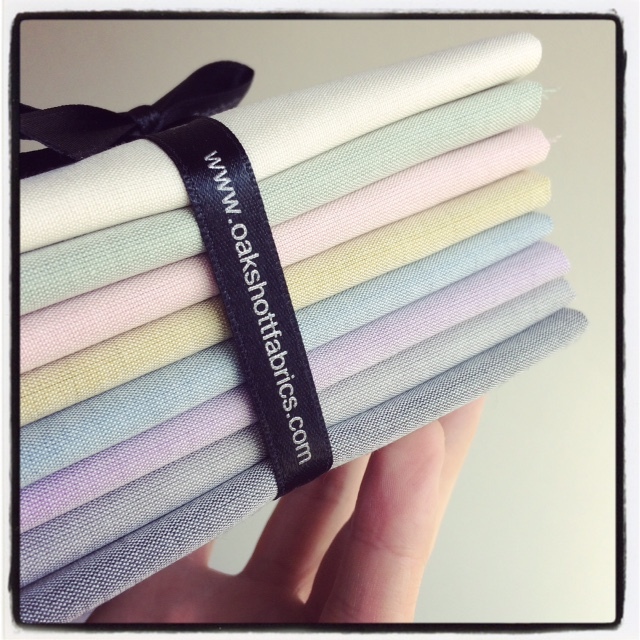 The perfectly curated bundle of eight new shot cottons from Oakshott had the same effect on me as the Autumn bundle from last year. There’s something about a folded pile of fabric that gets the brain cogs turning, and this time was no exception. The collection draws inspiration from an airy colour palette and clean Scandinavian interiors. A milky white warp combines with 8 different weft tones to create a collection that is unassuming, yet full of depth. In all the past projects in which I have used Oakshott fabrics, none have caught the light in different ways so much as these colours. They really are amazing to work with and only an up-close-and-personal look will do them justice. Hopefully, once you get to the end of this post you’ll all be inspired to go and get some! Whilst I was waiting for my bundle to arrive, I began to brainstorm some ideas I thought might work for these, the subtlest fabrics I’ve used to date. Much like the fabrics themselves, I wanted to take inspiration from Scandinavia and began looking at Danish and Swedish art, design and architecture. Several ideas began taking shape, each more elaborate than the last, until my mind was overflowing with creative thoughts. I was making things too complicated! 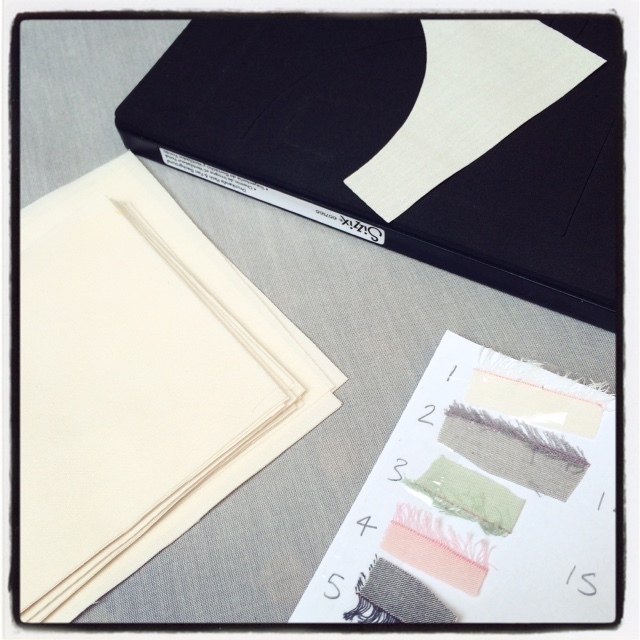 I went back to the drawing board and the fabrics themselves. They were crying out for something simple. Then, probably through a combination of my teaching a HST class at the time and the fact that my creativity was getting out of control, I happened upon the idea I eventually ran with. 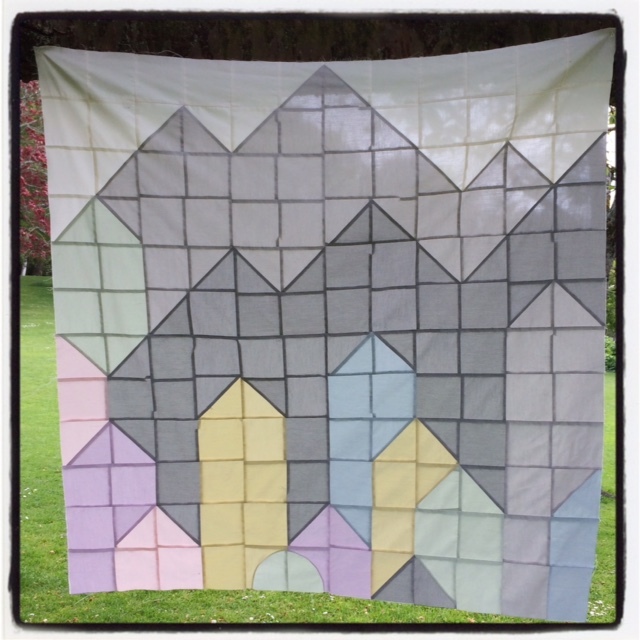 A quilt, inspired by Scandinavian landscapes and the idea of making something out of nothing or, more specifically, mountains from mole hills! With simplicity being the key, I settled on HSTs with the odd quarter circle thrown in for good measure. My original design saw a lot more quarter circles topping the ends of the ‘pillars’, but after some thought I decided that the quilt would be more impactful if the ‘mountains’ sprung from just one ‘mole hill’. 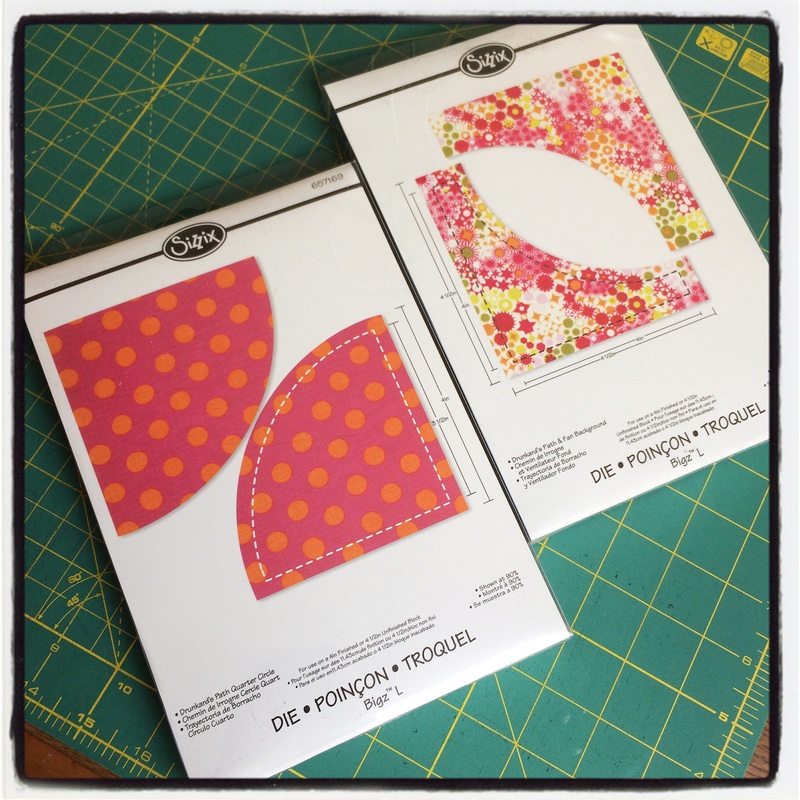 I used my trusty Sizzix Big Shot to cut the drunkards path pieces (which I did before revising my idea, so don’t be surprised to see a Oakshott mini quilt in the not too distant future) and used new dies, the 4.5″ (659838) and 5″ (657626) square to cut the pieces for the rest of the quilt. My preferred method for making HSTs is to place 2 over-sized squares together and sew either side of the diagonal line using a scant quarter-inch seam allowance, making 2 at once. I then trim the units down and find this method to give me better accuracy when it comes to joining the blocks. If you have a Sizzix machine, then the process can be sped up by using the HST die. In terms of piecing, this is a really simple quilt to make. A little fore-thought is needed to cut and pair up the fabrics so that the pattern forms correctly. There are many great online tutorials for both HST and quarter circles, so I won’t cover old ground here. 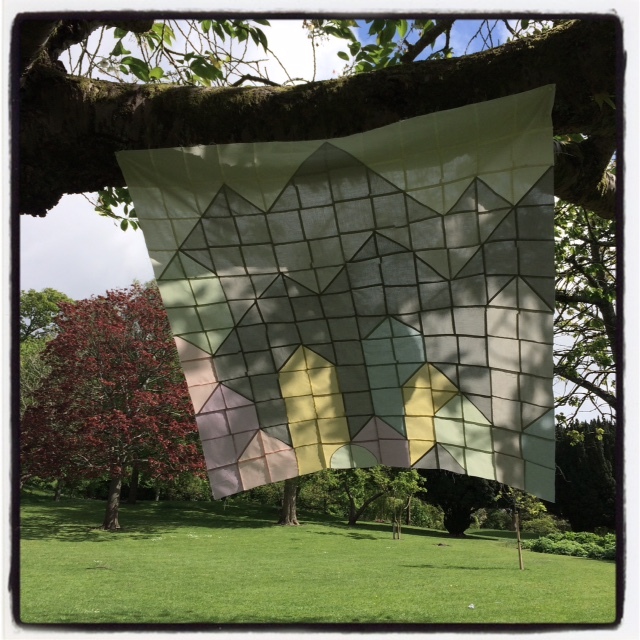 If you’d like to make your own ‘Mountains From A Mole Hill’ quilt, then use the follow cutting list. Once you’ve cut and pieced all the required squares, HSTs and quarter circles, use the photograph as a guide to piece them, the squares and the quarter circle units into rows before sewing the rows together to complete the quilt top, which finishes at 48″ square. When joining the blocks, be sure to alternate the direction in which you press the seams in each row, i.e, press all the seam in row 1 to the left, all the seam in row 2 to the right, all the seams in row 3 to the left, etc. Doing so will enable you to nest and better match the seams when it comes to sewing the rows together. 1 FQ bundle of Oakshott Scandinavia as well as an additional half yard of Bergen (cream), Uppsala (light grey) and Stockholm (dark grey). You will have some fabric left over, but that’s never a bad thing! Purples 5 4.5″ squares and 3 5″ squares. Use the 5″ squares to make the following number of HST. Due to the method of making a pair at once, you’ll have some left over, which you can piece into the back or use in another project. Cut 2 quarter circles in green, an arch in yellow and an arch in purple. What ever method you use to cut your drunkard’s path pieces, ensure they finish at the same size as the squares and HST units, i.e 4.5″. As you can see, my quilt isn’t quite finished. I was all ready to quilt this using wavy, edge-to-edge lines but a spark of inspiration at the 11th hour had me reaching for paper on which I scribbled furiously. I’m not sure if my idea may be a tad ambitious. If so, I apologise for making you wait to see this quilt finished; I just thought that the idea was worth a little more pondering. 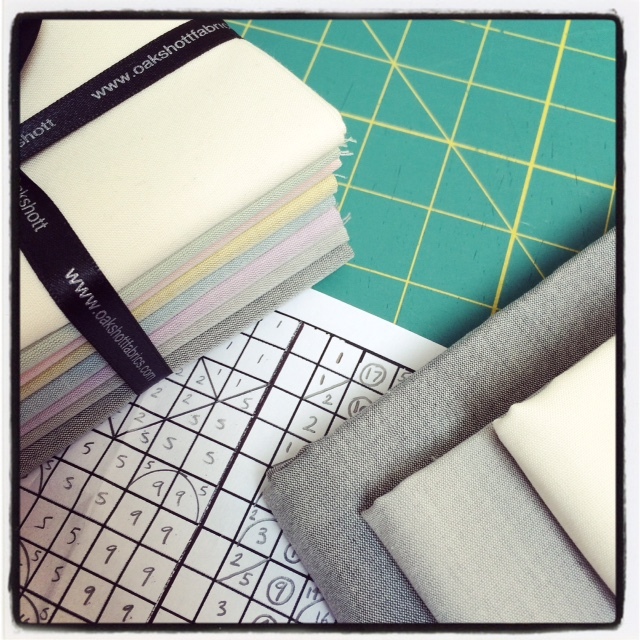 So watch this space…it may fail miserable and I’ll end up using my original quilting plan! In any case, I’m glad I get to enjoy the simplicity of the pieced top for a little while longer. This fabric really is amazingly versatile. Be sure to check out all the stops on the Oakshott Scandinavia Blog Hop. Eight projects from eight different bloggers. You can find links to all the stops below. Thank you all for visiting, and to Lynne and Michael for allowing me to indulge my creativity. The cutting of fabric for my last few quilts has been made much easier thanks to my Sizzix Big Shot machine. You may have seen some of the many Instagram pictures that I’ve posted of various die-cut shapes, including the circles on my Abacus Quilt. Sometimes is just nice not to have to reach for the ruler and rotary cutter! 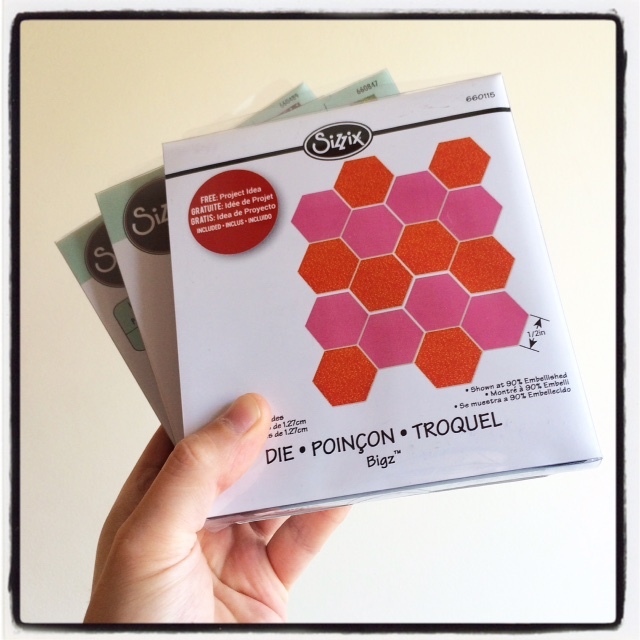 If all my talking about die cutting has got you itching to try it yourself then you’re in luck! I’ve found out that Sizzix are running a competition to win a Big Shot Plus Starter Kit at their Facebook and Twitter pages. The Big Shot Plus machine has all the great features of the machine you’ve seen me use, except it now has the versatility to use 8.5″ x 11″ materials! To be in with a chance of winning all you need to do is ‘Like’ the Sizzix Facebook page, then ‘Like’ and ‘Share’ the giveaway post. The winner will be chosen at random on Friday 8th May 4pm and the competition is open to all UK and EU residents only. How great would it be if one of you won! Good luck! The attic has been a flurry of activity lately, something which excites me so much that I sometimes forget to slow down and share it with you all here. There hasn’t been much sewing as such, but rather preparation for it. By that I mean I’ve been scribbling down lots of designs, gathering inspiration from all over the place and preparing fabrics, including lots of cutting! Thank goodness then for my Sizzix Big Shot! One thing I’m working on at the moment is a quilt for an upcoming blog hop featuring the new Scandinavia collection by Oakshott. Now, as anyone who’s sewn with Oakshott fabrics before knows, they are a dream to work with, and I always like to take a little extra time to plan whenever I use them exclusively in a quilt. I can’t share too many details with you now, you’ll just have to come back for the blog hop for those, but what I can say is there are lots of squares, half square triangles and, a first for me, a drunkard’s path block or two. This is uncharted territory and something that makes my inner perfectionist cringe a little. Those curves will have to be pieced pretty bang on if that nagging voice inside my head is to be silenced. Despite the block’s name, I’m not sure a drop of bourbon would do anything to help either. Best I stick to fueling up on coffee! I intend to do a trail run with some questionable fabric before I dive in with the Oakshott, but I’ve already taken the first step towards achieving precise blocks by using the Bigz dies to cut out my pieces. My theory is that if they’re all cut out the same then they should all fit together easily. That makes sense, right? I’m using the Drunkard’s Path Arch and Fan die (659849) and the Drunkard’s Path Quarter Circle die (659850). As well as accurate, the dies are a great time saver too, giving me more time to focus on the sewing! Wish me luck! If you have any tips for sewing the 2 parts of the block together, preferably without using a load of pins, comment away! 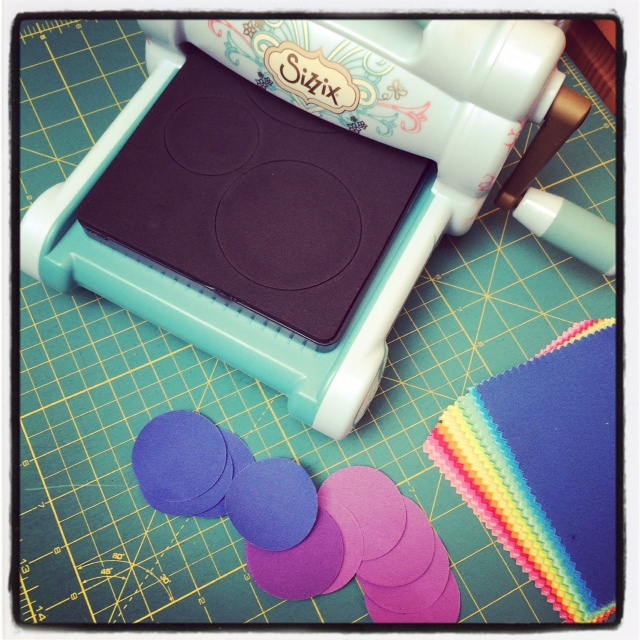 A Sizzix Big Shot machine! Now, I’d read a lot about these machines during my early exploration of quilting blogs and online tutorials and was intrigued. Fast-forward a couple of years and I was honoured to be approached by Sizzix, who asked if I would like to try out their machines and dies. My brain quickly went into overdrive, imagining all the quilts that I could make with help from a die cutting machine. I can tell you that, to date, it’s a very long list. Add that to the fact that I keep seeing more dies that I want, each inspiring more quilts, I think I have enough ideas to last a long, long time! After a quick read of the instructions, I couldn’t wait any longer and got to work on my first project. Now unfortunately, it involves a little secret sewing, so I can’t share too many details with you all. What I can say is that the Bigz L Circle die was very useful! 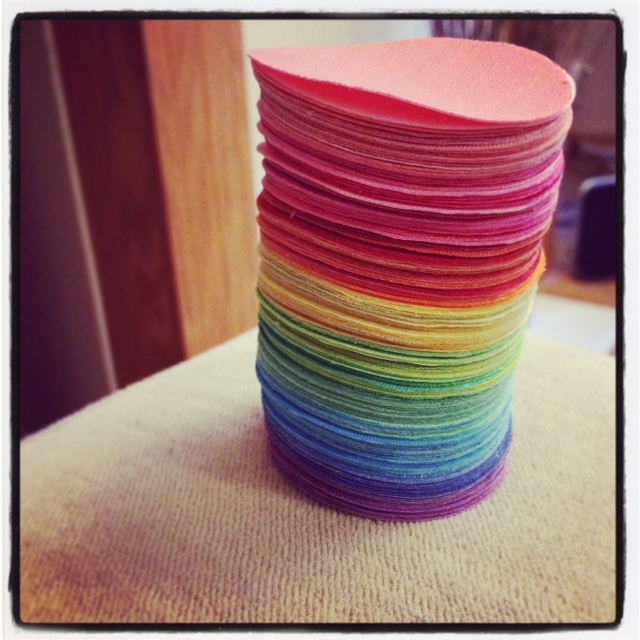 The Sizzix dies are amazing! Instagram is full of posts of perfectly cut half square triangles, making the process of their construction exceedingly simple. Then there are squares, and circles, and hexagons, oh my! Now at first, I wasn’t aware of the wide range of dies available. I’d seen a lot of applique dies, such as flowers and butterflies, and never really thought these would be useful for my style of quilting. It was only when I began to dig a little deeper that I discovered a whole range of quilting dies, designed to make your piecing as precise as it can be. I’m still exploring the machine, and wish I had more progress to share with you. What I can say is that it’s such a pleasure to use. Technophobes need not be afraid. Simple and effective, it cuts through fabric with ease, ensuring each and every piece is identical. When cutting the circles for my secret project, I found I could stack 8 layers of fabric and cut through them without any issues. The dies are well made, and I’m sure that with a little TLC they’ll last a very long time. With the sheer number of dies available, the possibilities are endless, and I’m so excited to get some more projects under my belt. 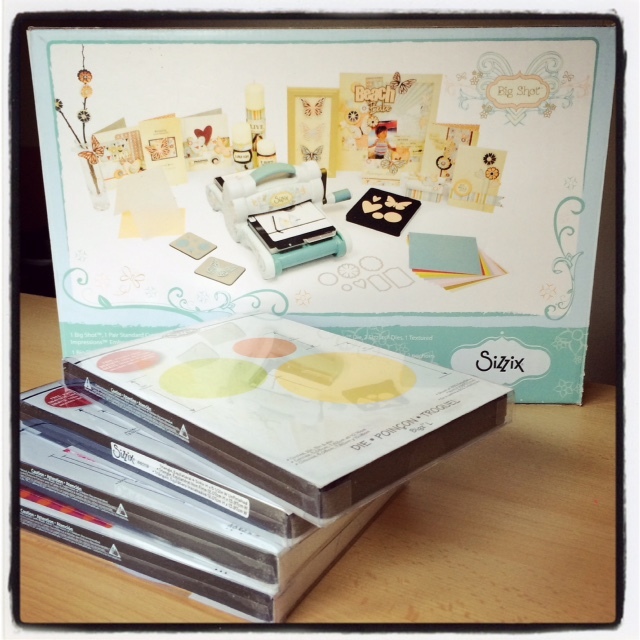 Watch this space for more of my Sizzix adventures! Handier than a shirt pocket; a polyhistor in sheep's clothing. Quilt maker to the stars! Since Rome wasn't either, I'll take my time.